Oil prices took another plunge on Friday; with West Texas Intermediate (WTI) losing 3.6 percent to $57.81 a barrel and Brent crude slid 2.9 percent to $61.85. Oil dropped 12 percent for the week, the 10th weekly slide since the start of October. The plummeting oil prices affected not just oil producers, but also the markets worldwide. Dow fell 1.8 percent on Friday. The 30-stock index has lost 3.8 percent for the week while the S+P 500 tumbled 3.5 percent, its worst performance in more than two years. "Clearly the oil situation is driving things," said Randy Warren, a Pennsylvania-based money manger (Bloomberg, 13 December) "At first it was just oversupply of oil - but now it’s that, plus fear of a world economy that’s growing too slow." 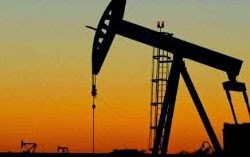 The International Energy Agency (IEA) on Friday cut its forecast for global demand for oil in 2015, indicating further decline in prices in the coming months. "Rout" is a negative term. The greatly reduced cost of crude is a boon for the consumer, promising advantages for the U.S. economy in the form of a greater percentage of disposal income. And the "Baazaris" and other western admirers, who use to always complain here and there, don't or refuse to pay taxes, and at the same time use universites, subways, freeways and other things built by those "creeps" - as you call them.